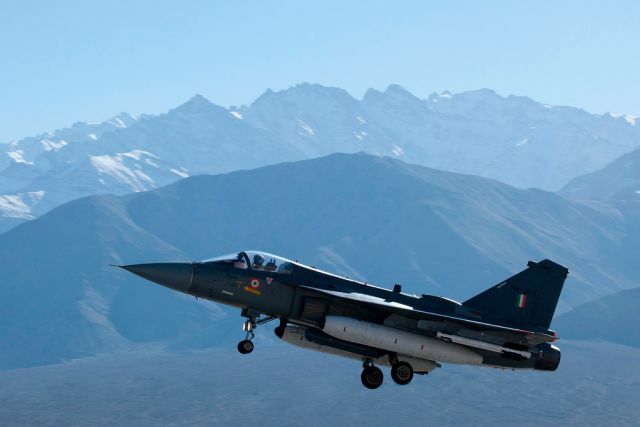 Thirty-two years after the project was sanctioned, the first India-built Tejas Light Combat Aircraft (LCA) was on Saturday handed over by Indian Defence Minister Manohar Parrikar to the Indian Air Force. The handover signals the start of a process of induction of the fighters being built at home under a project which has already cost the exchequer nearly $1.3 bn. The entire project by the Indian Defence Research and Development Organisation (DRDO) and Hindustan Aeronautics Limited is estimated to cost over $4.85 bn. 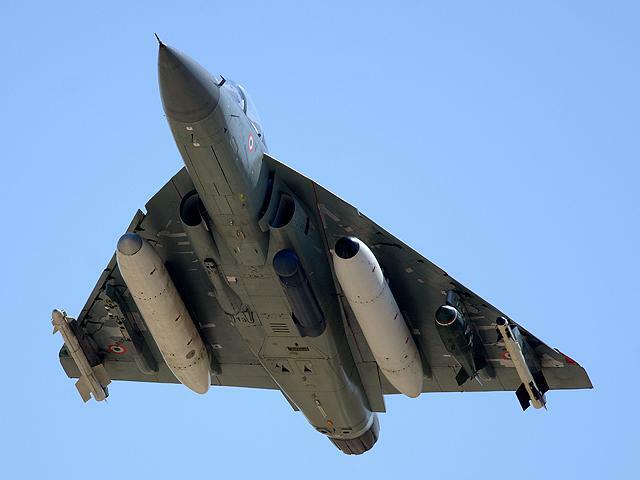 The Tejas Series Production-1 (LCA-SP1) was handed over by Defence Minister Manohar Parrikar to IAF chief Air Marshal Arup Raha, official sources here said. "It is a big big day for the country," a senior DRDO official said. The sources said 20 aircraft will be built by 2017-2018, to make the first squadron of the aircraft. The LCA programme was initiated in 1983 to replace the ageing MiG-21s in IAF's combat fleet but has missed several deadlines due to various reasons. HAL's LCA Project Group has has been upgraded to a full- fledged division to look after production in a systematic way with more investments. HAL has carried out thousands of sorties of the LCA and outstation flight trials at Leh, Jamnagar, Jaisalmer, Uttaralai Gwalior, Pathankot and Goa for cold weather, armament and weapon deliveries, MultiMode Radar (MMR), Radar Warning Receiver (RWR), hot weather and missile firing flight trials.